www.drivethedeal.com has some excellent deals on brand new Mazdas, all supplied by UK main dealers. Prices include road tax and delivery to your door is free. With Mazda actually paying customers more than £1,500 to take out 0% APR PCP finance on a Mazda MX-5, these deals are not to be missed. The deal we are currently offering is conditional upon you taking 6.9% APR Representative Hire Purchase finance over 12 to 60 months with no minimum deposit arranged by the dealer. If you do not wish to have this finance then please telephone us to request a quote. Tel: 01628 472276 or 08456 262626. Please note that our quote on Tamura model includes a FREE Bluetooth telephone system. The quoted prices include a £950 discount which is conditional upon you taking out PCP finance at 0% APR Representative over 24 to 42 months with no minimum deposit arranged by the dealer. If you do not wish to take out this finance then you will need to add £950 to the prices that we quote. Please note that our quotes on Tamura models include a FREE Bluetooth telephone system. The quoted prices include a £1,581 discount which is conditional upon you taking out PCP finance at 0% APR Representative over 24 to 42 months with no minimum deposit arranged by the dealer. If you do not wish to take out this finance then you will need to add £1,581 to the prices that we quote. The quoted price includes a £2,450 discount which is conditional upon you taking out PCP finance at 0% APR Representative over 24 to 42 months with no minimum deposit arranged by the dealer. If you do not wish to take out this finance then you will need to add £2,450 to the price that we quote. The quoted prices include a £500 discount which is conditional upon you taking out PCP finance arranged by the dealer. If you do not wish to take out this finance then you will need to add £500 to the prices that we quote. 1. Hire Purchase finance at 0% APR Representative over 12 to 36 months with 50% minimum deposit (except Mazda 6 models). 2. Hire Purchase finance at 5.9% APR Representative over 12 to 60 months with no minimum deposit. 3. PCP finance at 0% APR Representative over 24 to 42 months with no minimum deposit (except Mazda 6 models). 4. 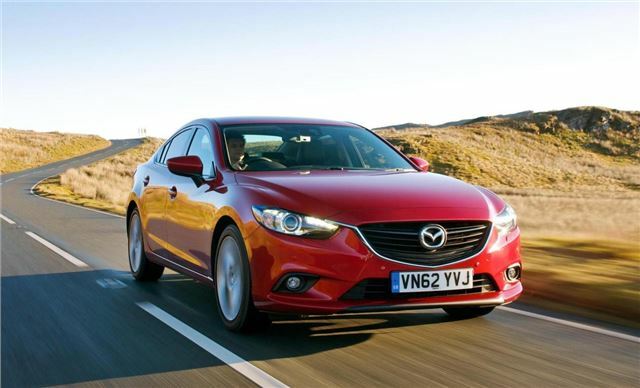 PCP finance at 5.9% APR Representative over 24 to 42 months with no minimum deposit (Mazda 6 models only). The dealer we put you in touch with can arrange it for you if you would like it. Subject to Status, terms and conditions apply. This discount is conditional upon you, or any family member at the same address, being the registered keeper of any Mazda. If this does not apply to you then please add £300 or £500 respectively to the prices that we quote.